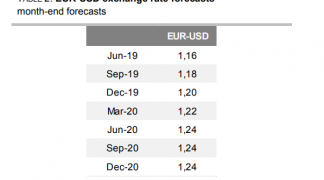 The outlook for the euro exchange rate complex (EUR) remains overwhelmingly negative says a new note issued by a leading Deutsche Bank analyst which forsees investor money draining out of the single-currency market. With the euro being battered across the board we continue to ask the question - just how low can the shared currency go? 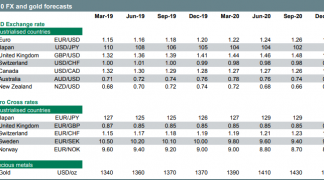 Understanding the euro's outlook can be done so by looking to Japan where years of low growth and low interest rates have ensured the yen has been a laggard in global FX. If the 'Japanization' of ECB policy is here to stay, then so must the portfolio flows required to adjust to this new equilibrium. This is the view put across in a new note to clients issued by George Saravelos, Strategist at Deutsche Bank who has reiterated his viewpoint that the longer-term outlook for the euro is undeniably negative. The prospect of near-zero interest rates yields – as has been seen in Japan for years now – will see European money leaving the Eurozone chasing better returns elsewhere suggests the analysis. This flow will drive down the euro exchange rate complex as demand for global currencies increases and euros are sold. “It may have taken yields a few months to get down to zero, but it will take far longer for portfolio flow shifts to materialize,” says Saravelos in reference to the prospect of further euro-supressing capital outflows in response to flatlining returns on capital. Investment decisions have to filter through investment committees and retail allocation shifts. “Ultimately, the Eurozone will needs to reach a positive net international investment position, like Japan. Or in other words, Europeans need to become net creditors to the rest of the world,” says the Deutsche Bank analyst. 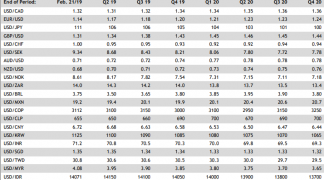 It will take at least another trillion of European outflows to get there shows research, and these outflows will keep the euro exchange rate complex under sustained pressure. At the time of writing the euro to dollar exchange rate (EURUSD) is at 1.0853 while the euro to pound sterling exchange rate (EURGBP) is at 0.7175. Rising interest rates are a positive for currencies, and interest rates are usually lifted in the face of inflationary pressures which in turn stem from a growing economy. To understand how interest rate rises aid currencies, see our custom infographic here. According to Deutsche Bank it will take many years to close the Euro-area output gap - the difference between what an economy is producing and what it can produce. If actual output falls below potential output over time, prices will begin to fall to reflect weak demand. Above: It will take many years to close Euro-area output gap, which will make the 2% target inflation rate at the ECB incredibly hard to achieve. More than a month has passed since Draghi announced QE and ahead of this Thursday’s meeting most are still asking whether policy is fully priced. “Instead, we find a different question far more interesting: is ECB pricing here to stay? In other words, will the ECB be able to hike rates for the rest of this decade?” says Saravelos. Saravelos thinks the answer is no: Europe’s output gap is simply too big to generate sustained inflation any time soon. As such Deutsche Bank believe the outlook for the euro in the long-term is unarguably negative as the possibility of an interest rate raising cycle at the ECB is a distant prospect. Meanwhile, we see the US Federal Reserve and the Bank of England eyeing interest rate rises in coming months which will in turn drive up the values of the dollar and pound sterling. "EUR’s inability to rally even on better economic news reflects cross-border hedging of equity investments, increased use of EUR as a funding currency and supply-demand imbalances in domestic debt markets. The most willing sellers of bonds to the ECB will likely be foreigners. "This dynamic should weigh on EUR even if yields begin to rise." 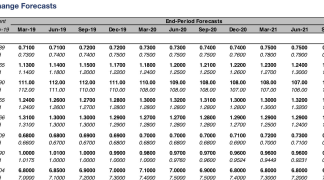 Looking at the near-term picture there are of course likely to be bouts of euro strength. “EUR/USD plummeted to an 11-year low on Friday following the strong non-farm payrolls number, but we have seen a small correction over the weekend. “EUR/USD has been in a downward trend since May 2014 and the decline has been accelerating recently. “EUR/USD collapsed lower on Friday post strong payroll numbers and has already virtually reached 1.0835, the 50% retracement of the entire move up from 1985. Commerzbank currently recommended small shorts 1.0925, add 1.1020 with stops at 1.1050.